Male and Female dolls made entirely with yarn. 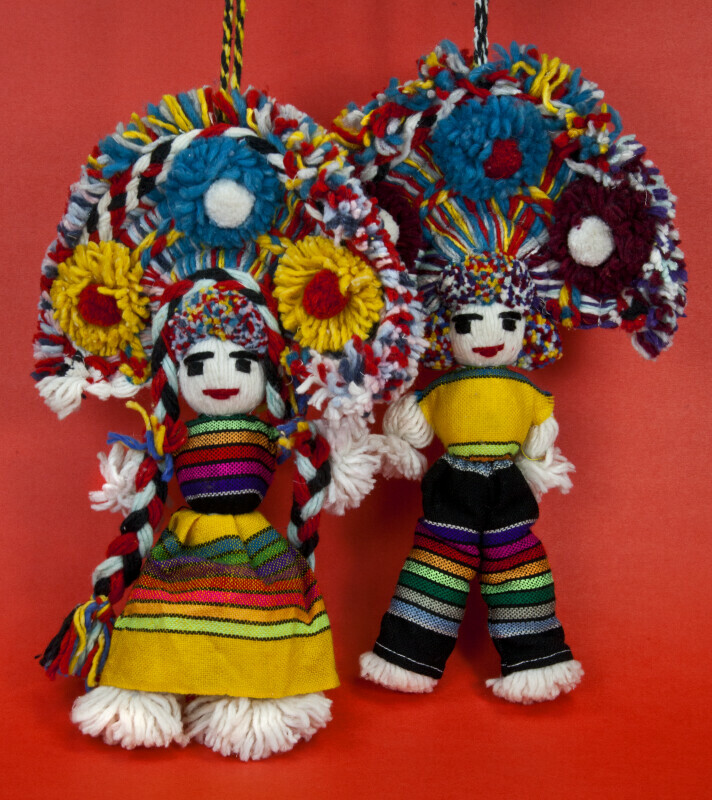 They have large, intricate head dresses with three bright colored pom poms. Their faces and bodies are created with white yarn, and their facial features are stitched with yarn. He is wearing woven pants and shirt. She is wearing a woven dress. The figure stands 15 inches (38 cm) tall.